Whistling ducks are really pretty, their feathers appear like they are painted. 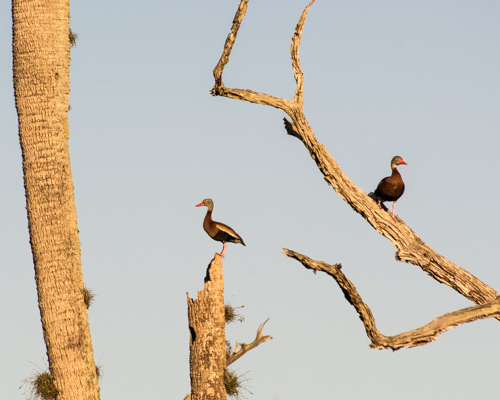 It’s black belly whistling duck season – so these are probably not the last ones you’ll see. 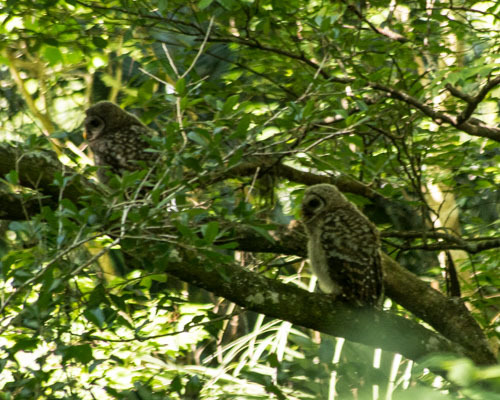 As for the owls – not a great picture, just proud if myself for spotting them. So I wanted to share. And yes, screech owls really do screech, I heard them for quite some time after they left their roost.